I loved Ichihime at the first look of it. < 3 I have no idea why... Maybe because I love Orihime's character? Naruto as Ichigo and Hinata as Orihime? Kyaa! My two fave pairings in one. <3 <3 That is so awesome! The couples are quite similar. ohhhhh!! 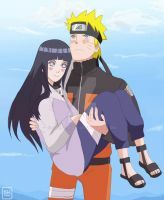 i also freekin L♥VE NaruHina And Ichihime so much!!!! Funny thing is, Hinata has the same English VA as Orihime. Yes NAruto loves Sakura but Sakura doesn't love him back. Wow.... That means a lot to me O___O Thank you so much! My top two favorite couples.